It’s been far too long, I know…with the new year arriving rapidly, I’m planning to be more diligent about providing updates. Sometimes it’s slow, but that’s no excuse. However, we have a lot to report this time around! We are capped at 300 participants this year, so register soon and use the new year to motivate you to run your first – or 100th – 5K for two great causes! Now that we have that out of the way, I’m happy to report that we have officially seated our first three board members, are headed to Kenya for our second trip this year to deliver those shoes that grow and get familiar with city we hope will be home to our (first) school, and are keeping our fingers crossed that the IRS doesn’t need any additional information so we can earn our 501(c)(3) status in January rather than April or May. Send lots of good thoughts our way, please! 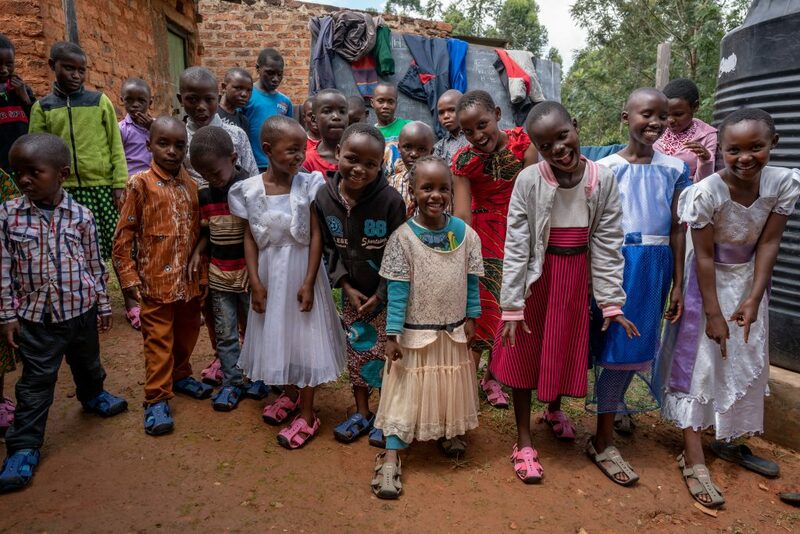 We are also starting to plan our big 2019 trip to Kenya, where we hope to continue our work through delivering more shoes that grow AND work with teachers at Kosogo and Oldonyonyokie primary schools to deliver high quality, focused lessons to students in English, Math, and Science. We are SO excited about these partnerships and so very grateful for the relationships that got us here and allowed us to make these connections. Look for at least one more post before the end of our inaugural year – and visit our photo gallery after we return so you can see some of Brandon’s amazing photos from our December visit. In the meantime, stay healthy and happy and we look forward to seeing some of you on the race course in April! 2018 was a wonderful year with many milestones for our fledgling non-profit, and we hope that 2019 will be even better. Thanks to all the great members of our team on the U.S. AND the Kenya side; we surely wouldn’t be nearly as far along without all of you! This is a short and sweet one…but it’s important to acknowledge new beginnings, continuations of wonderful things, and new challenges to be faced and overcome. We have made great strides, indeed, but now it’s time to double down and work through the Kenyan legal system to ensure we are able to make this dream a reality. Join us on our journey…on IG and LinkedIn (msomiacademy), or just check back periodically to see updated photos and read the blog. We look forward to meeting you in 2019 and hope you’ll join us in our quest to provide opportunity through education for girls in Kisii, Kenya. Happiest of New Years to you all and here’s to an even better 2019! A beautiful family in Kisii that we were able to talk to. I’m captivated by their faces! For many superstitious folks, today is the day to worry about strange goings-on. For me, however, Friday the 13th has always been a good day; I used to say that 13 was my lucky number. It is a fun day no matter how you slice it, so in honor of that, I thought I’d remind everyone that EVERY day should be a good one – at least in terms of learning. Every school in Kenya has its own colors and unique school uniforms, and for the Msomi team, these dark pink and white checked uniforms will be dear to us forever; the girls were funny, bright, warm, and so excited to have visitors spend time with them. We played games, delivered bed nets, and taught the grade 4 through 8 students about malaria and how to prevent it. It was our first human-centric outing in our most recent visit, and a wonderful way to introduce us to the diversity in Kenya. We hope you’ll continue to join us as you see just how much power education of girls and young women can wield. As I told the ladies at Nyakach – women can change the world! I’ve been to three countries in sub-Saharan Africa now: South Africa, Uganda, and Kenya, and in two I’ve been lucky enough to really connect with a little one. In Kenya, it was Celestine’s youngest child, Desmond, a darling little boy who bonded with me over a game of hide and seek (the more you travel, the more you appreciate the differences and similarities of people everywhere). He also fell in love with my hat, to be fair, so it might not have been all me, but he trustingly took my hand as we walked around his home and out to the vehicle that was to take us away from Kisumu for the night. 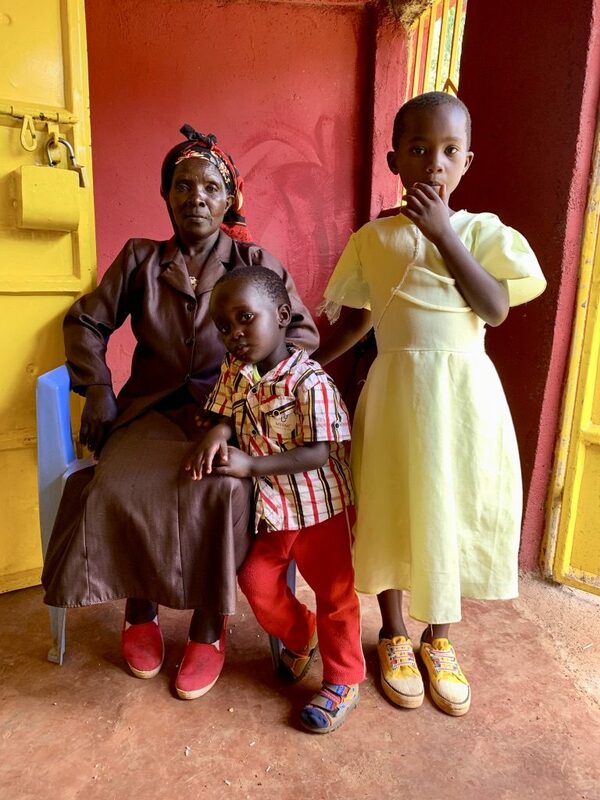 In Uganda it was Linda, a bald little girl in a bright blue dress, whose family owned and worked in the little electronics shop right next door to the tailor we frequented during our month-long stint in Adjumani. Linda and Desmond were lucky to have parents who loved them, so me shuttling them away and finding a way to adopt them in the U.S. was just not going to happen. It’s also helped me form a good mantra: I can only make friends with kids who have parents. Of course I say this a little tongue in cheek, but the issue is real. In Uganda there are “baby markets” where you can literally buy a baby for $50 to $100 USD. And 300 of the 500 students at Kosogo primary school in Kenya (the school where the kids wore blue and gold uniforms in the gallery page) were orphans, it tugs at me. I, too, was an orphan. I was unlucky in many ways, but so lucky in others. My child friends in Uganda and Kenya make me smile for a multitude of reasons, mostly because they have parents who love them and are doing their very best to provide good lives for them. But they also remind me how many are out there who don’t have loving families, or who don’t have families at all, because I was one of them, and it has impacted me for my entire life. It’s also one of the driving forces behind my desire to create Msomi. So yes, we will take orphans. We will take any girl or young woman who wants to get educated; it’s a fundamental right and one we are committed to providing. Thank you for joining us on our journey! We are getting good news every week, it seems – a nice place to be in! We have a lead on possible land in Kisii, the city we are most interested in establishing our school. I have a meeting with a wonderful professional photog in about 10 days to discuss how we can facilitate him documenting our process from inception (well, almost) to teaching our first classes of girls. Most everyone I speak to about this wants to donate, so we are working hard to get the website up and running – especially the donations button, of course! – and will be rotating photos of our most recent trip in and out. An article about our endeavor is in the works and will be published in the next few weeks by our School of Public Health (SPH) communications director, and there will be photo murals on the wall with museum-like captions somewhere in our school. Finally, we are planning our second trip to Kenya at the end of this year. On this trip, we will stay in Kisii and it will be our first foray into getting around without someone there to constantly hold our hands. I’m glad there will be a group of us, at least! Often I don’t feel as though I’m doing that much when it comes to the planning processes for Msomi, but then I look back at that first paragraph and realize I’m doing fairly well – especially when I have such a fantastic team of folks who are working just as hard. Little bit by little bit, we will get through these start up times; I know this beyond the shadow of a doubt. My next blog will tell a story from our adventures in Kenya the first time around; I do hope you’ll come back to read it. We learned so much while we were there and I’d love to share as much as possible with as many people as are willing to hear! It occurs to me that most people don’t know what Msomi means, so I thought I’d solve the riddle. We chose this word because it means scholar in Swahili, the most commonly understood language in Kenya. There are 42 distinct ethnic groups in Kenya, each with their own unique language – not dialect – full language. Some are a bigger (Lu’o, for example) percentage of the population and others are smaller (Maasai, for example). English is used in schools from Grade 5 on, but Swahili (or kiswahili) is used much more often for inter-ethnic group communication. I try to learn the language, but it’s a challenge. Fortunately, we’re usually able to work with Kenyans who are much better with languages than we are! It’s a truly beautiful country, and I hope you all have a chance to visit some day. On another note, I had a great conversation with Vincent Forand from period.org; we are working on partnering to help them with the upcoming education launch and looking forward to having their support when we need to provide feminine hygiene products to our girls. I’ve also reached out TheShoeThatGrows to see about working with them to make sure our girls always have shoes that fit. Some of these may work out and some may not, but you just never know until you try. We are working hard to get our name out there and drum up support but are still looking for that one person who’s willing to take the plunge and support us financially. We’ll likely be starting a public online fundraiser in the near future, so hopefully we’ll at least start the snowball rolling. Check back for updates and remember how lucky we are to be living as well as we do! We are back in the states after a whirlwind trip to Kenya. Successful – yes! Fun – yes! Rewarding – yes! We checked all the boxes on this quick trip. And it was absolutely lovely. Oh – and “mzungu” means “white person” in Swahili; it’s something we hear all the time when we’re in Kenya, especially from the kids! Unlike our previous experiences, the travel went as smoothly as one could hope for. No major delays, no missed flights (though we had a close call in Atlanta), and no hiccups. Our driver in Nairobi, Lewis, was there early and our driver in Kisii, Victor, was great. The bulk of our costs were for transportation, but it’s worth it to have safe and reliable vehicles and drivers when you’re going to be in a car that long and that often. I’ll have to break this into a couple of posts, so be sure to come back to read about the fun stuff…this one will focus on the work. We were able, with the help of our friends and colleagues Jared and Jackie, to meet with and survey 19 teachers and over 40 parents; Sarah has the final tally, but we were pleased with the participation. It also meant that all 60 pairs of the shoes were given out and are currently in use. The kids and parents were so excited and grateful, and we are very much looking forward to returning in June with even more shoes to give! Our last day in Kisii, a city we are thrilled to be connected with and so looking forward to continuing to build relationships in, we met with Abel and his family on his family land. I had no idea before we went that this land has been in his family for generations, and that he had to get all his brothers to agree to sell us the land if we choose to purchase it…it is humbling that this family, who just lost their father in July at the age of 118 years!, is willing to sell the mzungus (white folks/foreigners) some of their rich and fertile land. Abel himself had nothing but a t-shirt until he was 6 years old, when his parents scraped up enough Kenyan shillings to buy his school uniforms. From there, he has never looked back; he is working on his doctoral dissertation, is a Bishop in his church, and has taught regularly in the Bible College he and Deborah are working to bring back to fiscal health. He’s a true inspiration and he knows the power of education – a combination that is utterly transformational. His only desire is to ensure that the land goes to a purpose that serves his community, a desire we truly hope to fulfill if we should go ahead with the purchase. Kisii is beautifully geographically and the people are kind, generous, and so happy to see new faces. Abel’s house is located about a block away from the Gucha WEEP center, which makes it even more convenient…it seems we have been guided to where we are and how lucky are we to have all these opportunities opening to us? Sometimes when you embark on the “right” path the path seems to pave itself. We certainly still face some hurdles and not all will be smooth sailing, but the big bumps in the road are still relatively small in the big picture of everything. I continue to hope that we get the support we need – both internally and externally – to keep this dream alive and bring our vision into being so that girls in Kisii, Kenya can be transformed by education, just as I have been, just as Abel has been, just as all those who are working with us have been. Education is powerful and empowering, and a trip to Kenya will only help you understand that even more deeply than ever before. We are thrilled to have finally visited Kisii and look forward to many return trips. Help us make education for girls a reality in a country that contains such great promise and potential. We know our girls will make a big difference in the world – whether at the community or global levels! Sometimes we forget to be grateful when things happen that we weren’t sure we wanted to happen. For example, I had taken a fantastic job out of Texas a few months ago, then came crashing down when I ended up having to NOT take that job. But other positives balanced it out, not the least of which was being able to move forward with Msomi more quickly than we could have had I been in a different state. The other bonus is finding out that your network of friends and colleagues are genuinely friends and colleagues; people who are willing to support you when you are trying to do something audaciously good. Staying in Texas has provided me a lot of insight into who I’ve chosen to associate with during my decade-plus of time here, and I’ve been counting the thank yous I owe in droves for awhile. Yesterday provided Msomi another leap forward – so please welcome Brandon, from snapjudgementphoto, on board. He’s a professional photographer with a heart for helping people connect, and he has generously offered to help us document our process from inception. Look up his work at www.snapjudgementphotography.com or follow him on Instagram @snapjudgementphoto; we think you’ll find his work as remarkable as we do. In fact, many of the photos on these blog posts and throughout our website are courtesy of Brandon and some the work he did in Kenya a couple of years ago. Thank you, Mags, for the connection and for your generosity and kindness throughout this process. I appreciate you immensely and am so proud to call you a friend and colleague. Let’s hope someday I can somehow return the favor! And Brandon – words cannot express how thrilled we are to have you joining us for the ride. Memories are precious, but when those memories are translated into pictures by a true artist, it helps personal memories become connections that expand them into shared commitments to making the world a better place. Up, up, and away team!